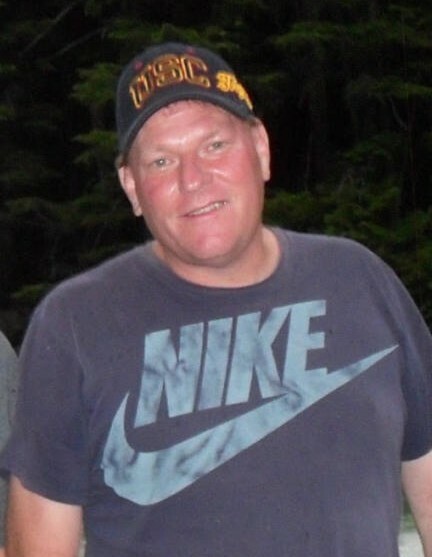 Russell Alan Losing, 53, passed away with grace and dignity on October 22nd, 2018 at Benefis Hospice in Great Falls, with family by his side. Rusty was born and raised in Cut Bank, where he attended school and graduated from Cut Bank High School. He excelled in football, basketball, softball, and track and field. He was selected his senior year to play in Montana’s East West Shrine football game in Great Falls, Mt. Rusty worked at the family creamery and other food related businesses in the area. He made many lifelong friends in Montana and throughout the community. He loved sports, golfing, fishing, gardening, cooking, and the outdoors. Rusty always enjoyed watching the Dallas Cowboys football team, New York Yankees baseball and Tiger Woods play golf. He also loved listening to music and local and state sports on the KSEN radio station. Rusty was outgoing and competitive with a great sense of humor, he will be missed dearly by his family and friends. A Memorial service was held at St Paul Lutheran Church on October 27th, 2018. He is survived by a daughter, Tierani Losing of Bozeman; his son, Trent Losing of College Station, TX; a grandson, Rhett Losing of Jasper GA; his mother, Lindee Losing of Cut Bank; and brother, Tim Losing (Dawn) of Rancho Cucamonga, CA. He also leaves behind many close aunts and uncles, cousins, nieces and nephews. Preceding him in death were his father, Walter R. Losing and brother, Daniel Losing.